Thanos is one of the biggest badasses of the Marvel universe. Yet he even he knows that one does not simply walk into Mordor invade the Earth. Earth is lousy with superpowered people, many with the power to practically (and some, literally) rewrite existence (looking at you, Scarlet Witch). What’s a mad Titan to do? 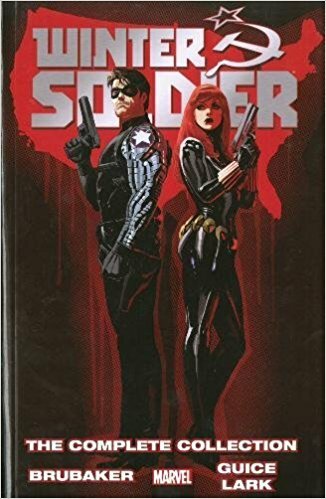 When I originally set out to read through the Winter Soldier and Captain America comics of the 2011-2012 period, I organized my reading order by the published trade paperbacks and omnibuses, as I usually do. I read through all the issues included in the Captain America: Return of the Winter Soldier omnibus, which included Captain America (2011) #11-19, Captain America And Bucky #620-628, and Winter Soldier (2012) #1-14. 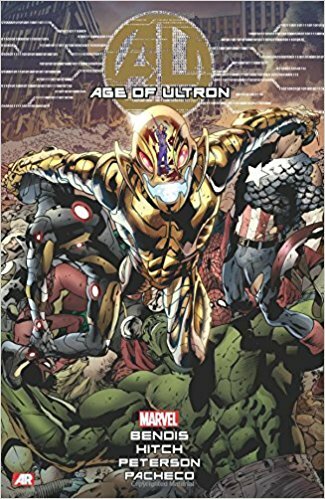 Age of Ultron has a fun premise (that’s absolutely nothing to do with the 2015 film): let’s do Age of Apocalypse, but with Ultron! Instead of X-Men we’ll focus on Avengers in a post-apocalyptic world ruled by a supervillain. Matt Fraction concocted one of the most easy to jump into and satisfying new comics I’ve read in years. 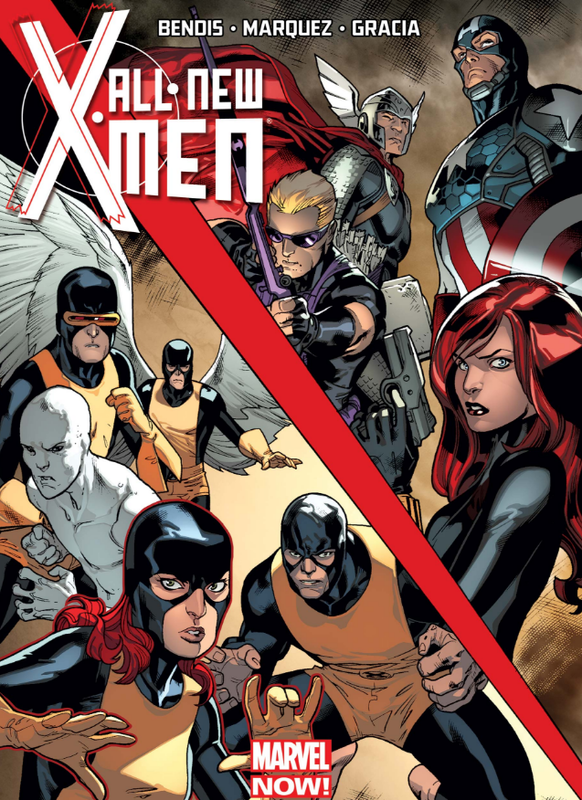 My comic reading has slowed down significantly this year, which is ironic given I’ve finally reached the era I’m most excited to read: Marvel Now, the post Avengers Vs. X-Men era that began late 2012 and ran until Secret Wars in 2015. Since I began my grand comic catch-up in late 2014 I’ve been very excited to reach this era, which brought lots of new characters and fun new takes on existing characters, including Ms. Marvel, Captain Marvel, Thor, and Hawkeye. Wait, Hawkeye? The lame bow-slinger? The dumbest Avenger? Hawkeye’s previous claim to fame was that he died and was brought back by Scarlet Witch. He went through an existential crisis for a few years, including dressing as a ninja and calling himself Ronin. A new character became the new Hawkeye, a Young Avenger named Kate Bishop. 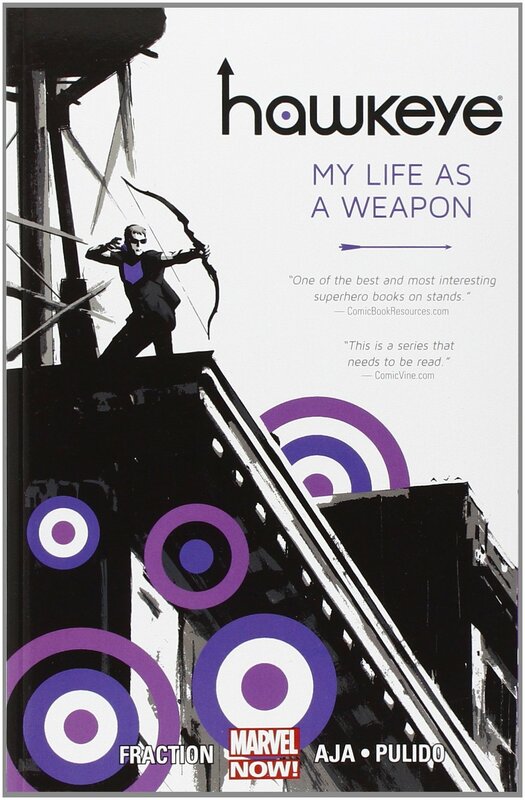 At some point Clint Barton resumed his original Hawkeye-ness and became fairly boring again.